Veerle is a Senior Lecturer in Law in the Department of Law at the London School of Economics and Political Science (LSE), and Editor-in-Chief of the journal Transnational Environmental Law (Cambridge University Press). In 1998 to 1999, Veerle was the inaugural Sir Peter North Fellow at the Centre for Socio-Legal Studies and Keble College, Oxford. 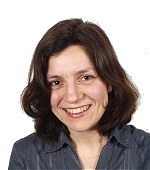 She has published on issues of health and environmental law, European law and decision-making in areas of scientific uncertainty in English, Dutch and Italian. Veerle has an LLM from Harvard Law School, and a PhD from the European University Institute in Florence (It).